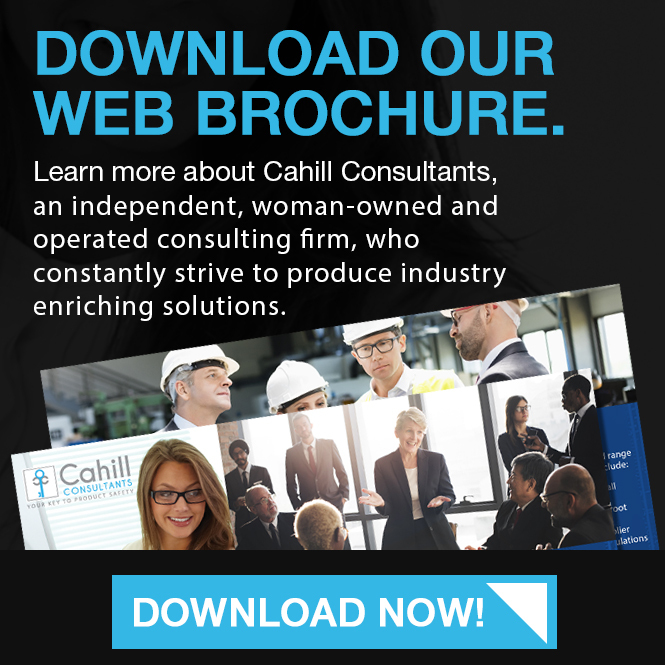 Cahill Consultants Inc. was established to assist women who chose an alternative work style that would allow them to use their education to fit their work life into their family life. With that in mind, CCI dedicates its resources to assisting charitable organizations with that same goal. This past spring, our organization partnered with the Brookhaven division of Dress for Success in order to further their mission, “empowering women to achieve economic independence by providing a network of support, professional attire, and the developmental tools to help women thrive in work and in life”. Dress for Success is dedicated to “job ready” women who have been referred to by over 200 local non-profit organizations; including domestic violence agencies, veteran’s organizations, homeless shelters and job training programs. 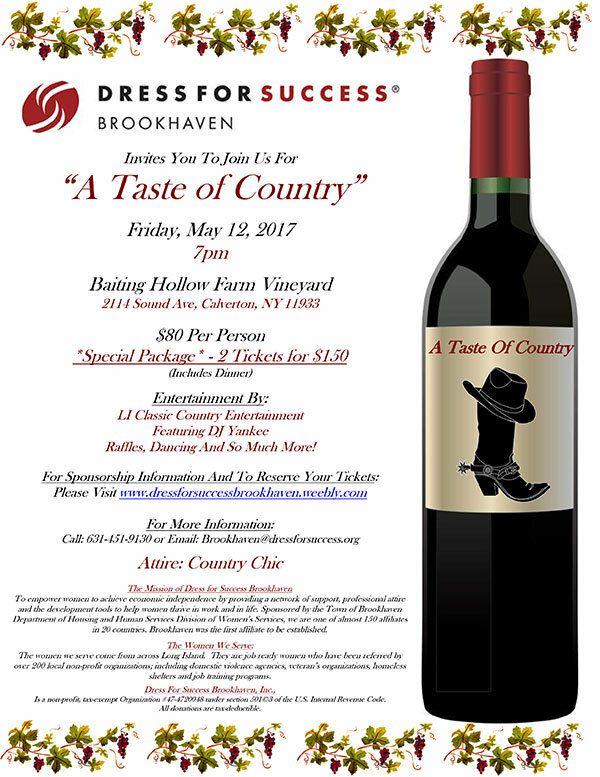 The fundraising event, “A Taste of Country”, was held on May 12 at the Baiting Hollow Farm and & Vineyard in Calverton, N.Y. With “Country Chic” as the attire, The evening was filled with raffles, line dancing and classic country entertainment for attendees. CCI was a proud premium sponsor of the event to help Dress for Success reach their fundraising goal which will help serve women from all across Long Island. We hope to further help our friends at Dress for Success by participating in their many volunteer opportunities such as their mentoring program, organizing their beautiful clothing boutique (donations are always welcome), or their successful job retention program. Stay tuned!